I have been searching high and low for a secretary desk. I was looking for a well defined space that I can call my own, to work on this humble little blog, and love the idea of closing everything inside when it’s time to tuck it away. (How does a toddler know to push the power button?? There are a whole slew of other buttons but he bee-lines for the power button…) So yes, the cabinet feature of a secretary appealed to me. But I didn’t want just any secretary – I didn’t want a hutch on top, I wasn’t sure whether I wanted drawers underneath, a serpentine front (although beautiful) seemed too froofy for my house of boys, but the flat front seemed too blah… I just hadn’t found “the one”. And for months this search has been going on! Look what my thoughtful husband surprised me with today! Out of nowhere! Just voila! and there it was! A little reinforcing, a couple tweaks, and some paint, and this baby will be perfect! If you aren’t following my blog yet, there are many different forums in which to do so on the right. 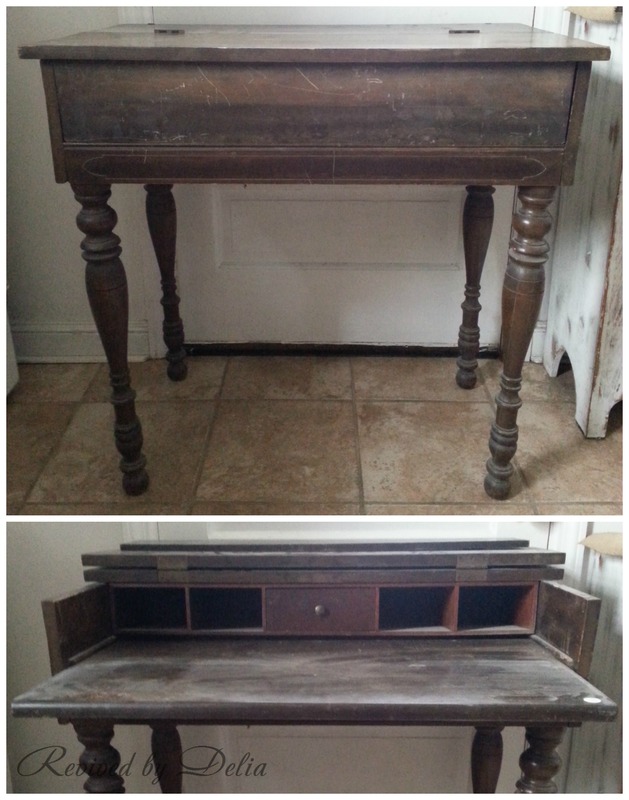 You don’t want to miss what I do with this (soon-to-be) beautiful desk! OMG – is that gorgeous or what? I’ll be back to see what you do! That is a lovely surprise. I have transformed just such a desk. They are beautiful when they are redone.